1. 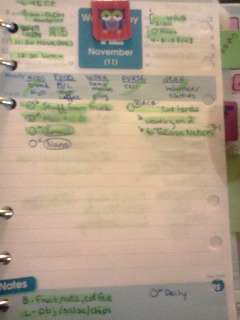 Have a planner meltdown. 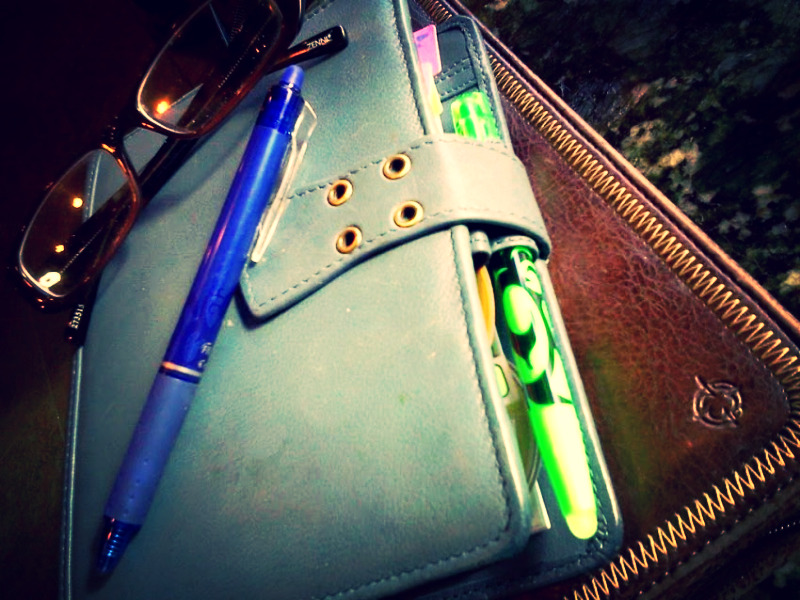 Decide, completely based on the business of the holiday season, that your planner is, all at once, too big to carry and too little to write in. 2. Change bags 104 times. 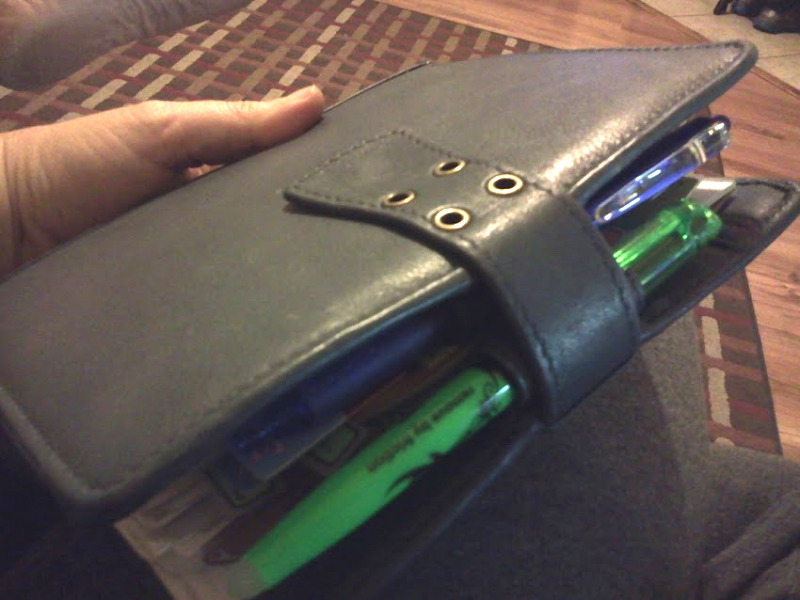 After all, you need your hands free to shop, but your backpack/crossbody/messenger bag is too heavy with your planner in it. 3. 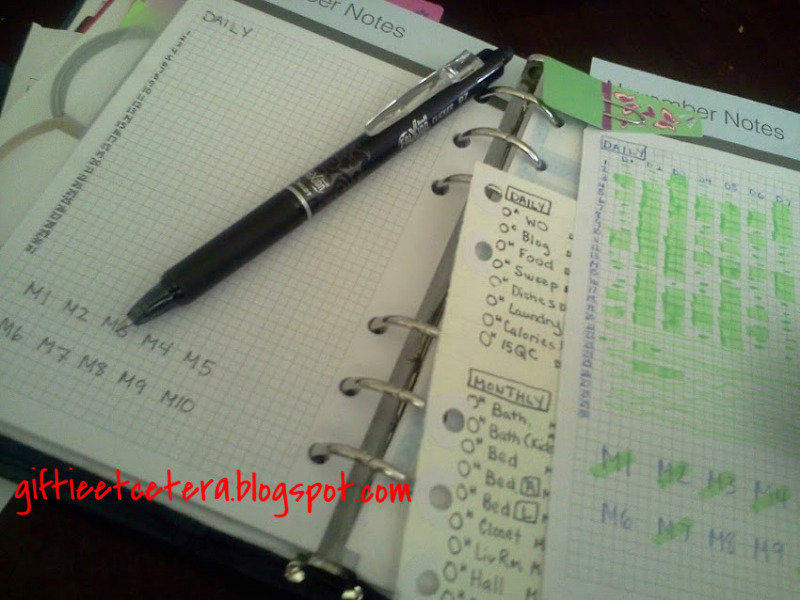 Buy planner supplies on a whim, every single time you shop. 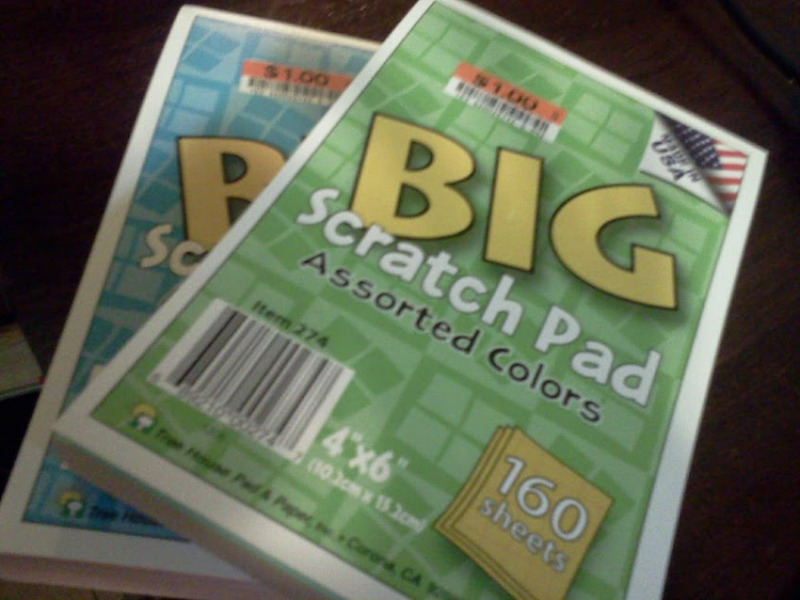 I got these at Big Lots for $1 for 160 sheets. I punched them (double punched) myself. 4. 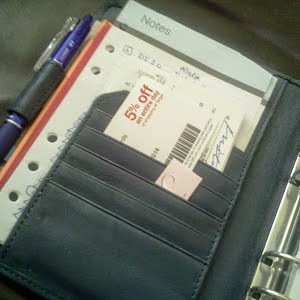 Shove so many receipts into your planner, instead of your wallet with the nice pocket just for receipts, that your planner will not close. 5. Have at least one friend/family member ask you to keep track of a receipt because "you have a good filing system." Don't have the heart to tell them that, right at this minute, that filing system consists of 2/3s of your kitchen counter. 6. Buy two gifts for one person because you forgot to write it down the first time. Only realize when said recipient opens the SECOND identical gift. 7. Lose your Elf on a Shelf. 8. Find your Elf on a Shelf while unloading the Christmas tree in front of your kids. 9. Get told by many, many Facebook friends how awful Elf on the Shelf really is, as if you didn't already know from the second night you owned him...when he forgot to move because you fell asleep! Also, yes he is naughty. No, I am not ashamed of that. Yes, I understand that I am scarring my children for life. 10. 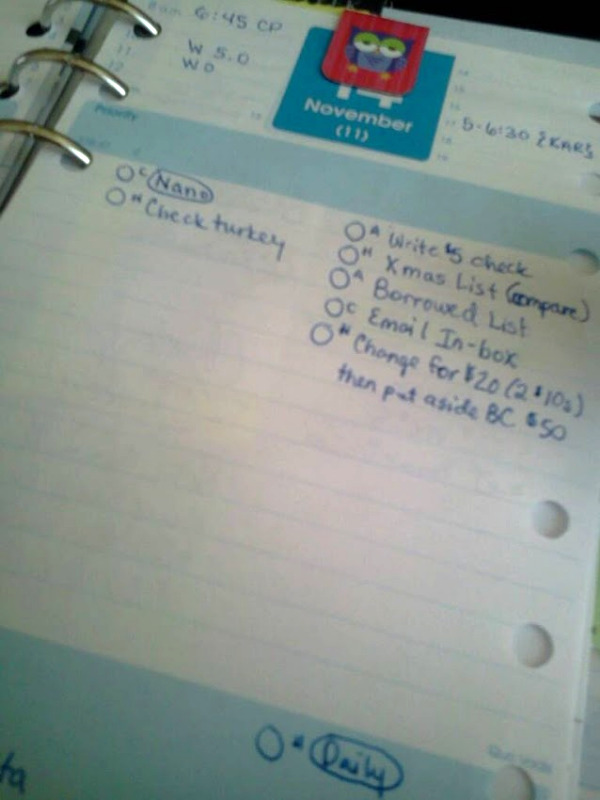 Spill an eggnog latte on your planner when you place your shopping bags on the table. 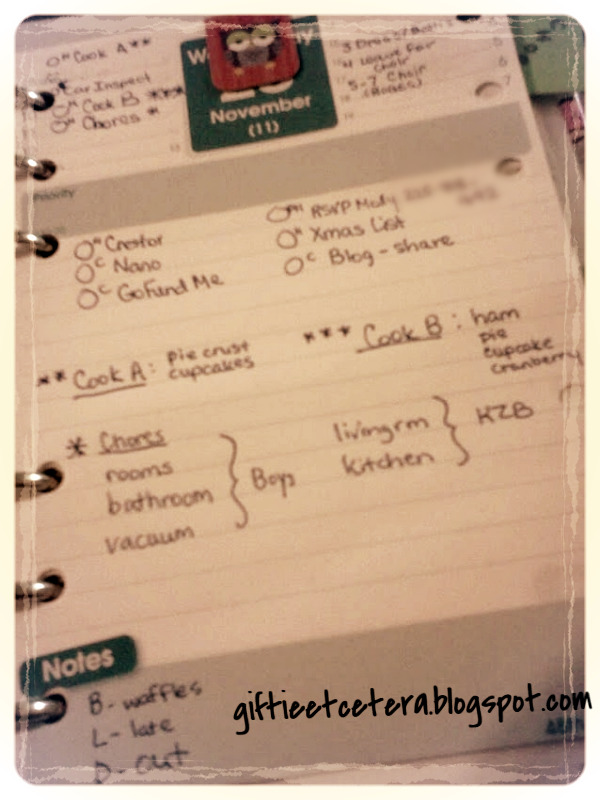 Christmas planning goes in my Project section of my planner, since it is an active category this time of year. 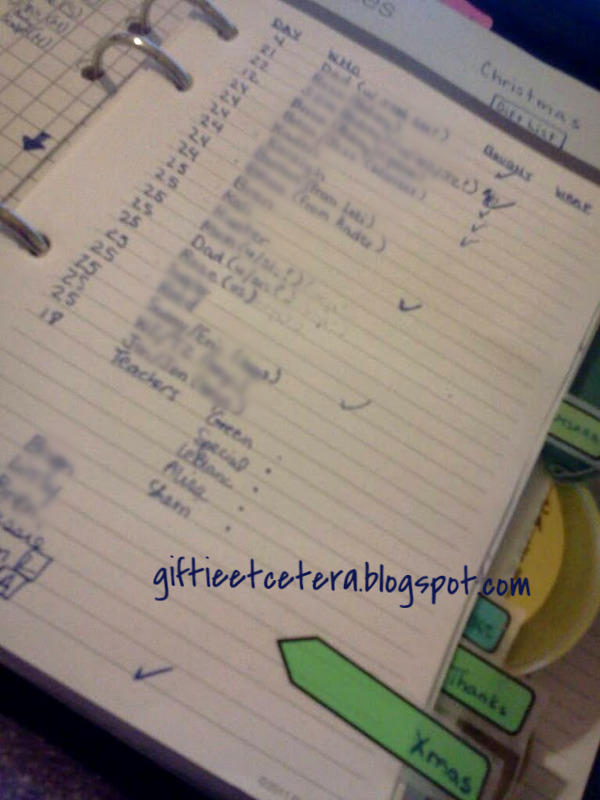 After Christmas, I'll file the pages with December's weekly spreads and use them to create a new project next year. TIP: I keep my own list on Amazon. That way, my husband can just click and order! I don't keep a decorations list because all decorations are in the same boxes. NORTH POLE PRO TIP: Keep Elf on the Shelf with the Santa wrapping paper hidden separate from the decorations. And use only paper with a picture of Santa on it for Santa paper, and all other paper for Christmas wrapping in general. 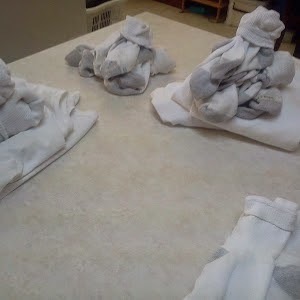 I keep Elf on the Shelf ideas on Pinterest. 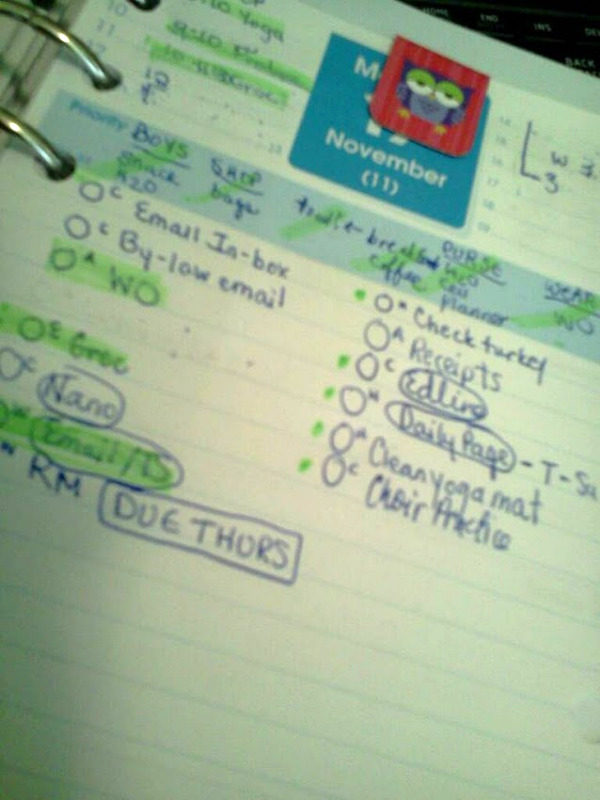 A note on your planner every November, reminding you where you hid the Elf, is quite useful. 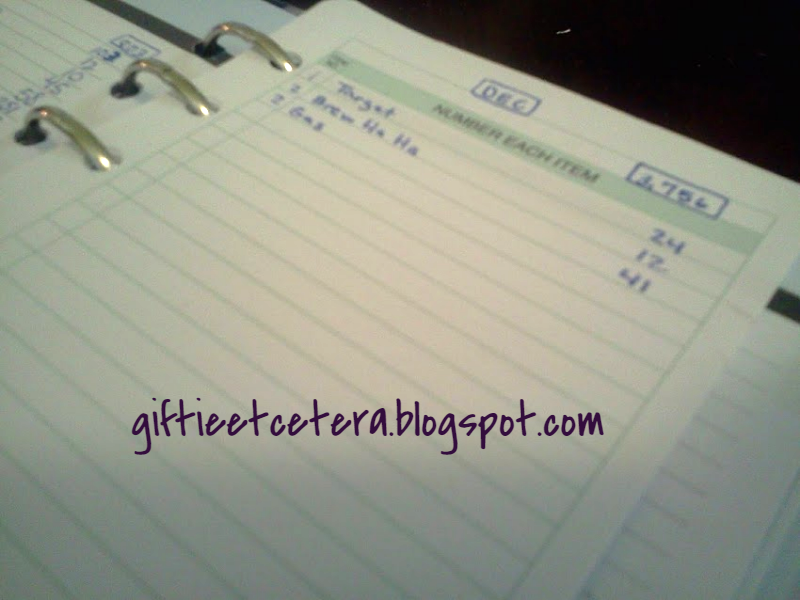 Guess what Giftie forgot to write in her planner? Awkward! Let the great Elf quest begin! I also just write parties on the calendar so I don't forget about them and actual tasks on my weekly pages so that I can do them along with everything else. Of course, all those things can go on your project pages, if you would like, but for me, they work much better within my normal system. 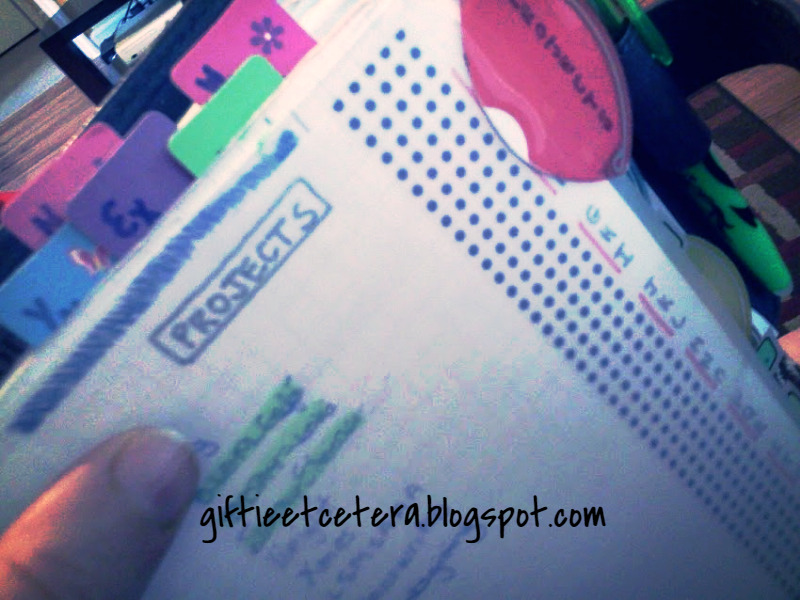 My project pages are for the thinking and deciding part of planning and the logging of what is accomplished (like writing down which gifts have been purchased). If I need more Christmas wrapping paper, putting it on my regular shopping list assures that I will buy it. If I have a Christmas festival on Saturday, writing it on my monthly calendar makes sure that I don't double book Saturday. Putting any of this stuff on my project pages might mean it does not get accomplished. But within the Christmas project, the Christmas Shopping List is the real key to making sure that I keep track of Christmas gifts. I used to write a scribbly list, full of notes about what I might get and what I did get and whether it was wrapped or delivered. It got messy and complicated. 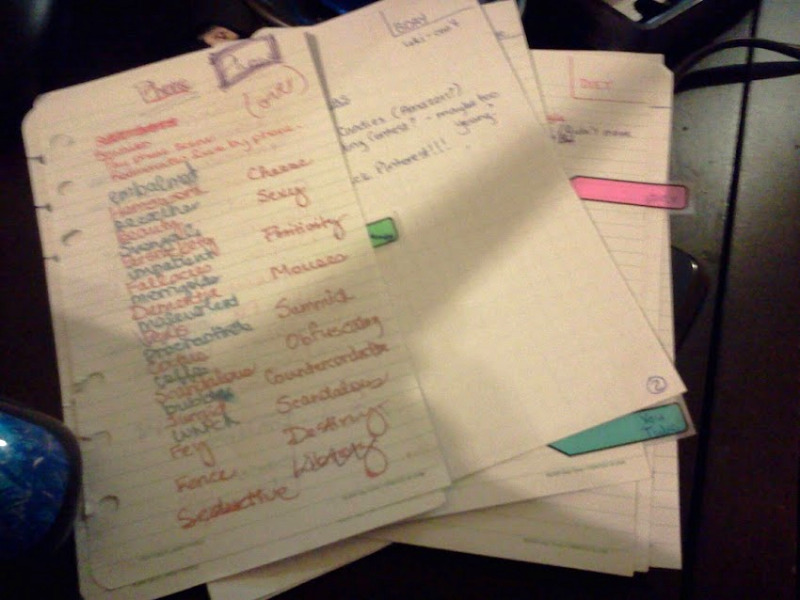 I still note all those things, now, but most of it goes elsewhere within the Christmas project. My Christmas Shopping List is quite simple. 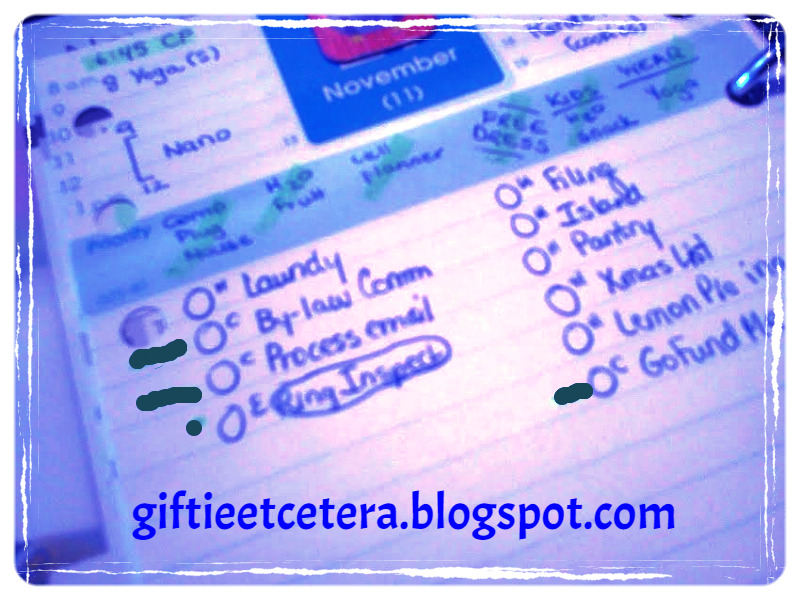 On the left column, the day of December when the gift must be given or delivered by is listed. I include December birthdays, parties which require a gift before Christmas, gifts exchanged on Christmas Eve, and Christmas Day gifts. I simply write the digit that corresponds to the date, so December 24 is translated as 24. The next column includes the recipients' names and a note if I am putting in with someone else to buy something. Next are the bought and wrapped columns. They get a dot if the gift is partially purchased and a check once it is purchased. As I give away each gift, I will highlight the entry. 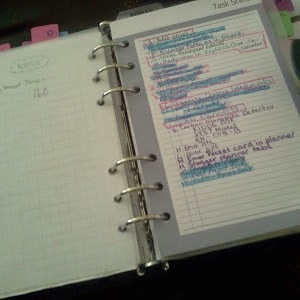 Keeping the list simple and using other pages for notes and reference means that I don't accidentally forget someone or buy two gifts for one person. NORTH POLE PRO TIP: Make an unyielding rule that, even if you don't have time to record WHAT you bought at the store, you always check off that you bought something. Otherwise, chaos. NORTH POLE BONUS TIP: On December 23, each child gets an ornament reminiscent of this year, wrapped under the tree. It lets the kids unwrap a gift early, and when they move out of the house, they can bring them with them to decorate their first tree. On December 24, they unwrap Christmas jammies to wear on Christmas Eve night, so their pictures are adorable in the morning. 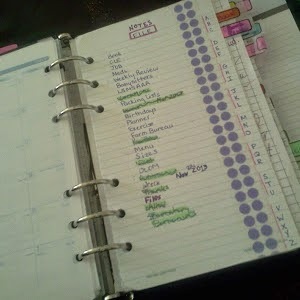 One of the great advantages of a ring bound planner is the ability to use tabs and dividers to organize information. 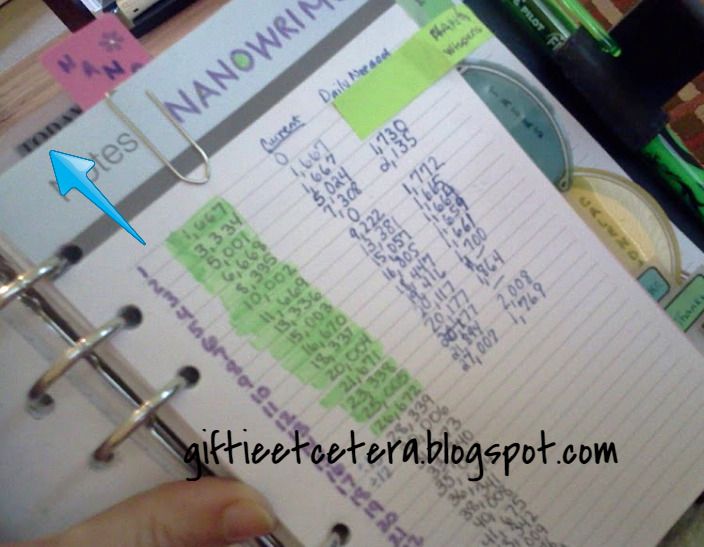 In previous posts, I showed how to make custom tabs for sections of the planner and how to use special planner tabs for frequent access pages in the planner. 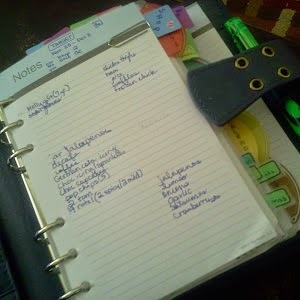 I've been using all of these tabs as side tabs, so that they would not block my Today page marker. 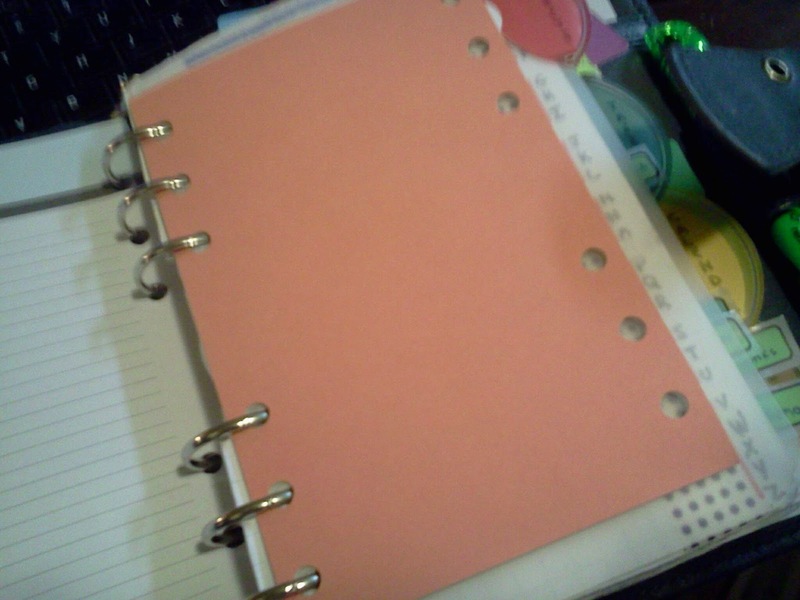 But all side tabs cluttered up my planner and made my section tabs disappear and become useless. So I tried the special planner tabs (except for two that are far to the back of my planner and don't get in the way) as top tabs. 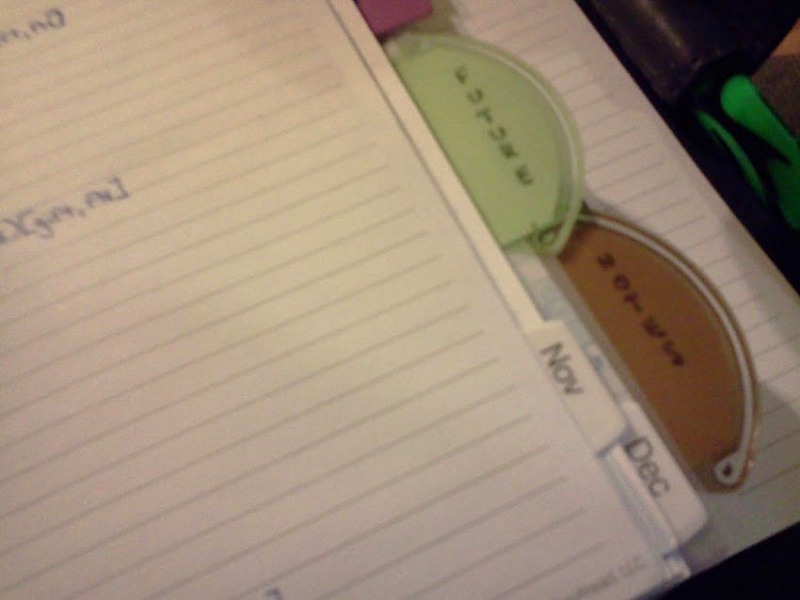 The tabs don't block my Today or This Week page markers at all, since they are all different heights. (See the arrow above pointing to the Today marker.) And the top tabs don't overhang the bounds of my Franklin Covey Boston compact, probably because a Boston is slightly bigger than most compacts. Thank you to all who inspired me with their own top tabs. They really do work. Loyal Readers will recall that I often use context codes to divide up tasks into times and places where they should get done. 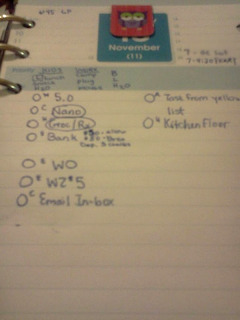 Obviously, if I am on the road, I don't even glance at the tasks coded with an H for home. And if I'm working on my computer, I mostly focus on tasks coded with a C.
But when I am swamped, sometimes I need something more visual to help me decide what to do in the immediate future. 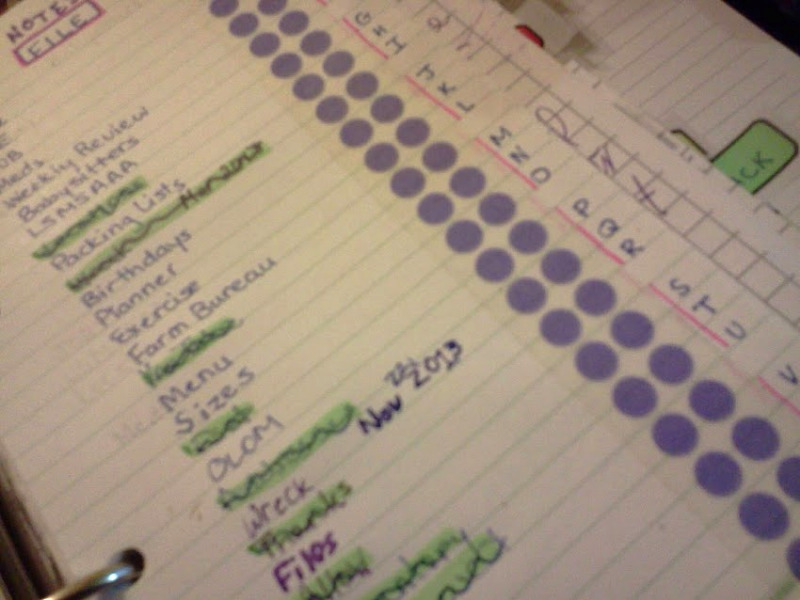 I simply add dots and dashes to task lists to decide what to do first. Of course, I use my context codes as guidance. 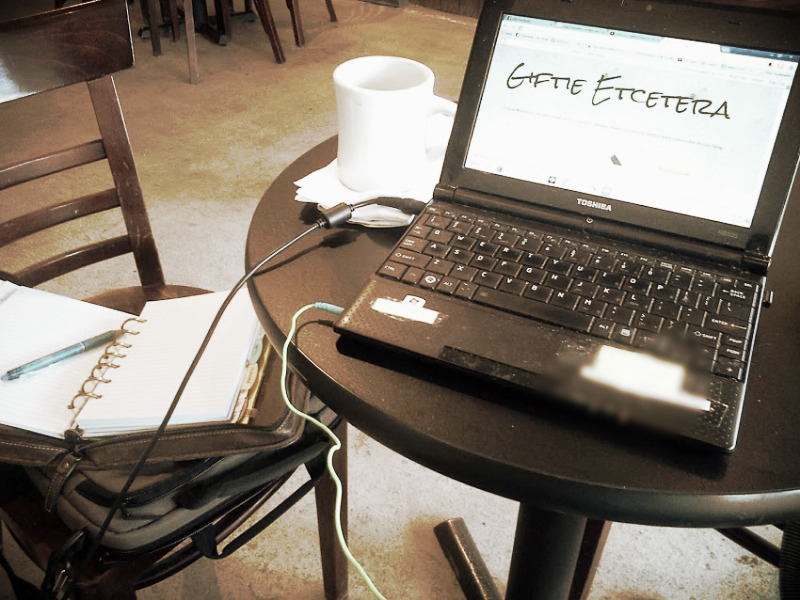 So, in the picture above, I used my highlighter to add dashes to things that I need to complete right now, on my laptop in a coffee shop. 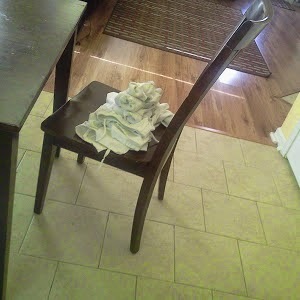 Then, before I head home, I need to run an errand. So a dot (less significant than a dash) goes beside the errand. Now, at a quick glance, I can get my critical tasks done. Another option is to use numbers, but those work better for tasks that need to be done in a certain order. In my case, today, I can do the computer tasks in any order, but they all must be done before I leave the coffee shop. This simple tip works with any task list. TIP: Use the dash/dot technique when grocery shopping. At the beginning of each section of the store, dot the items that are on the list from that section. Before each aisle, dash the items on that aisle. This technique allows me to stop doubling back because I forget the ketchup. I always forget the ketchup. 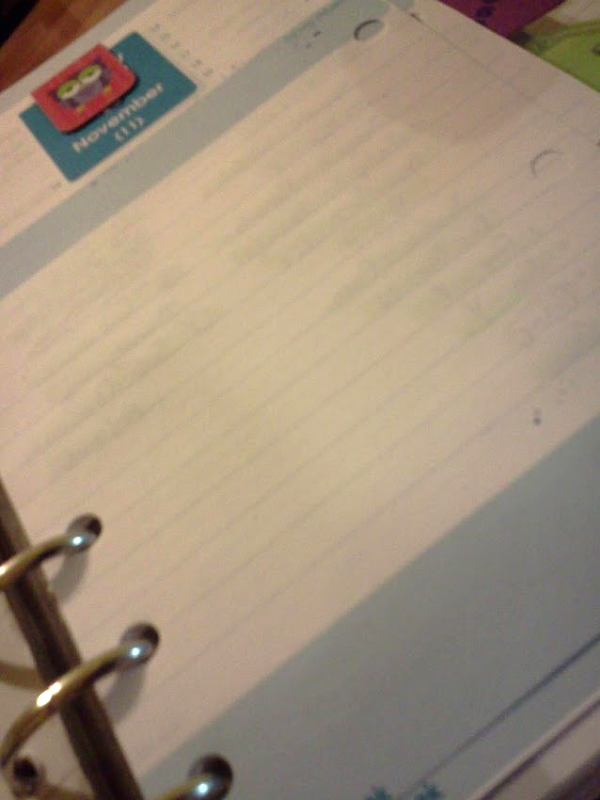 Also, since I highlight the items as they are complete, the dots and dashes simply disappear under the highlighter as I mark off tasks, allowing me to dot/dash a second part of the list. 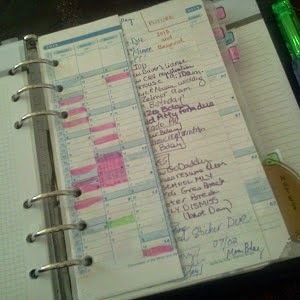 Sometimes, an event is so routine that you don't even bother to note it in your planner. For example, my kids currently arrive home around 4 p.m. on weekdays. I don't have to do anything to prepare. My husband simply brings them home. 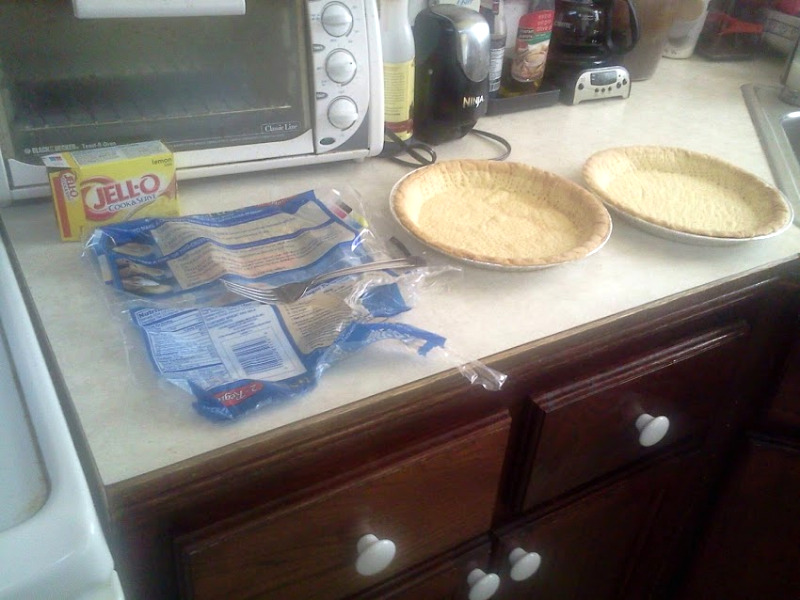 At that point, there is supper to cook, homework and chores to oversee, and prepping for the next day to do. But their arrival is quite routine. 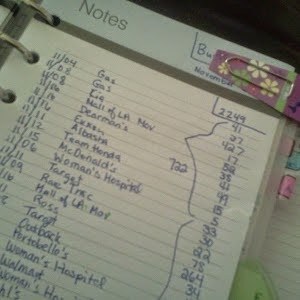 In fact, it's not even listed in my planner under routine events. 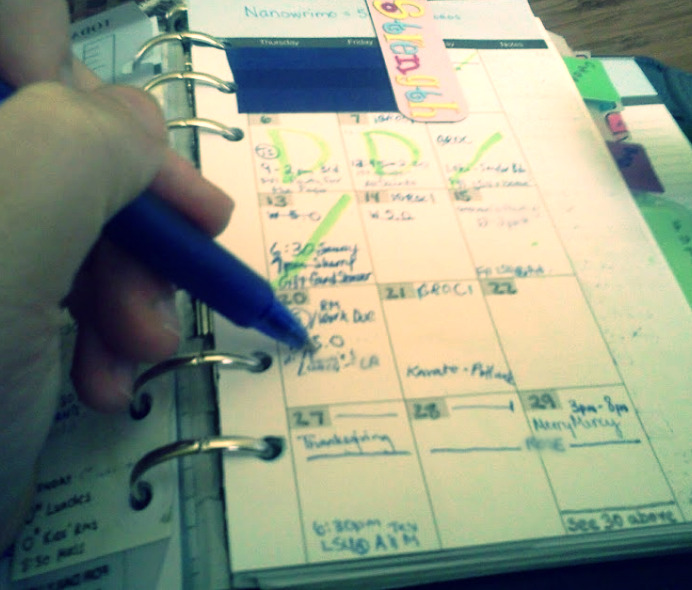 TIP: List routine events on a skinny page between your monthly view instead of recopying every week. 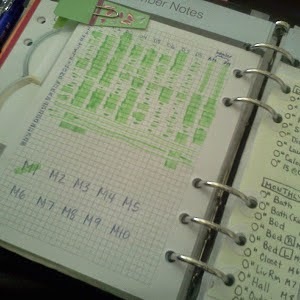 Then only note deviations from that routine on your monthly pages. But, on Wednesdays, there is choir practice and they don't get home until 5:15 p.m. Doesn't matter. My life is so routine based that, even though I was working very hard on a project for work today and completely absorbed in writing my legal memo, I naturally stopped at two minutes to four. No alarm. No watching the clock. I simply printed out the final document, made a note on my planner to proof it in the morning, and checked the time. 3:58 p.m. It's funny how, with all the planning that I do, there is still a rhythm in my life that affects my behavior. And now I have an entire hour free to blog and watch "Selling New York" on Netflix. P.S. New Yorkers pay way too much for real estate! How do you afford it? 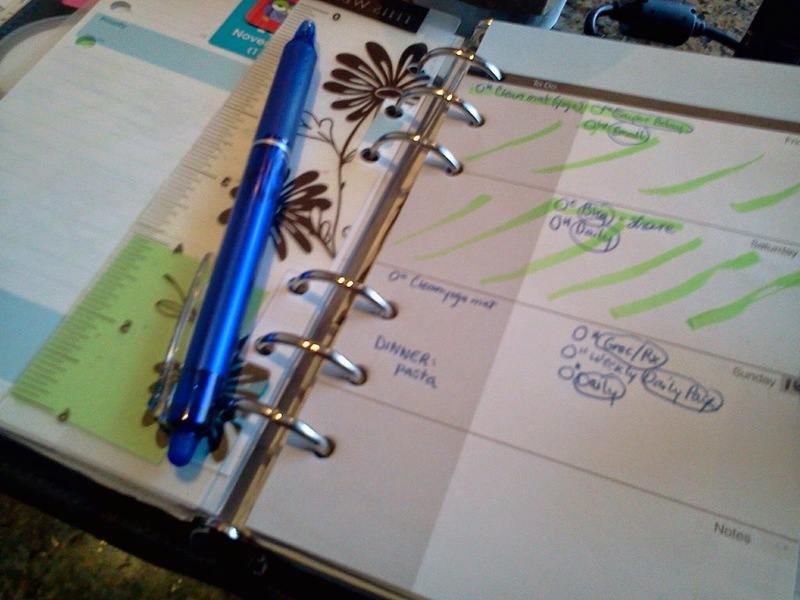 A planner really helps us with two things - namely, remembering and decision making. The remembering part is obvious. Of course, some way-smarter-than-I-am people can just remember things. Even if you aren't gifted with a perfect memory, a simple entry on a web calendar, smart phone, or any calendar can help you remember. 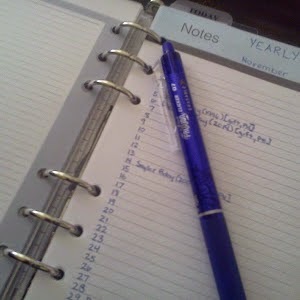 Remembering, while useful, isn't WHY I recommend a planner instead of a mere calendar. Decision making is where a planner rocks (or another SYSTEM, but a system is required and I find planners to be the simplest systems to maintain). The decision making comes at more than one point. 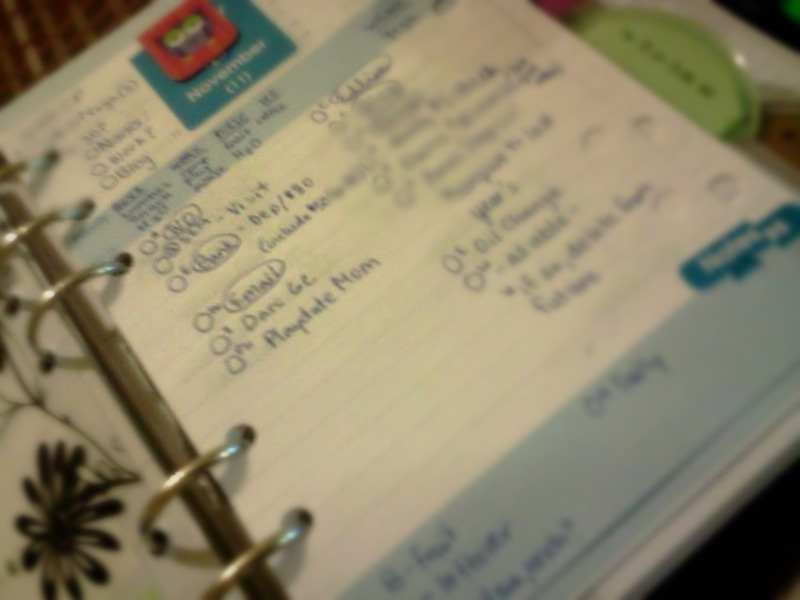 The first decision is made when I write something - anything - in my planner. It must be something worth remembering or doing to make the cut. 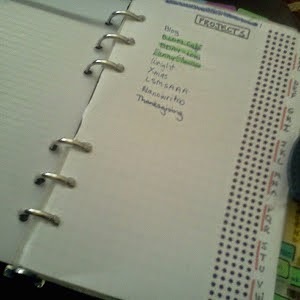 Next, I decide which part of my planner gets the information. 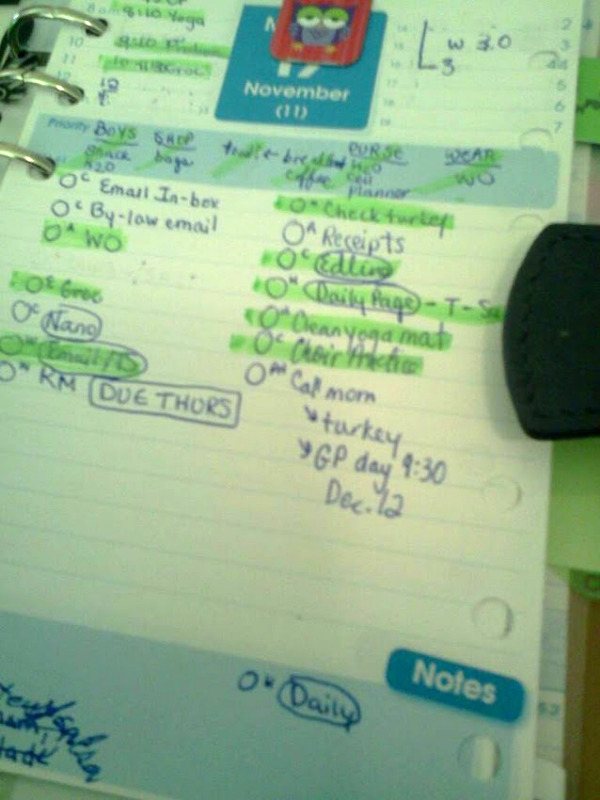 An entry on a monthly calendar is different than a dumping of ideas on a master task list. I make yet another decision when I create my daily page. Finally, I make decisions as I complete my daily page. 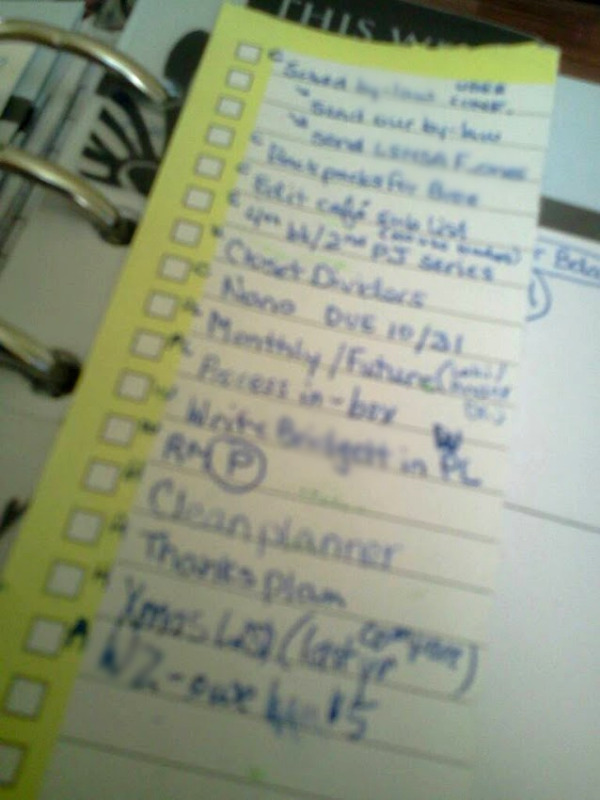 In the example above, the task list (the right column) is rather long. 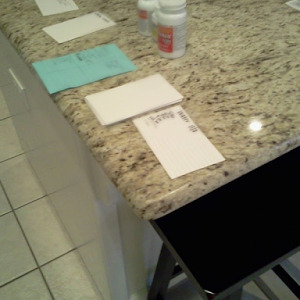 So I developed a trick to decide what gets down when I get overwhelmed. 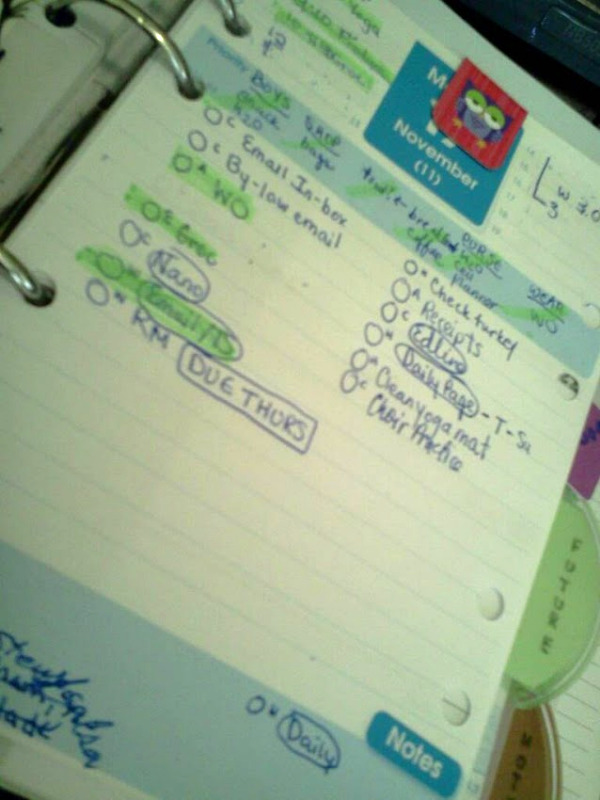 Before I tell you the trick, note that anything REALLY important is already scheduled or done. So I am talking here about what I do at the second level, once appointments are done (or between appointments), deadlines are met, and anything critically important is dealt with. The Trick: Put a dot next to anything quick and dirty. Then complete the dots. Quick = can be done in 5 minutes or less. Dirty = does not require concentration or great skill. 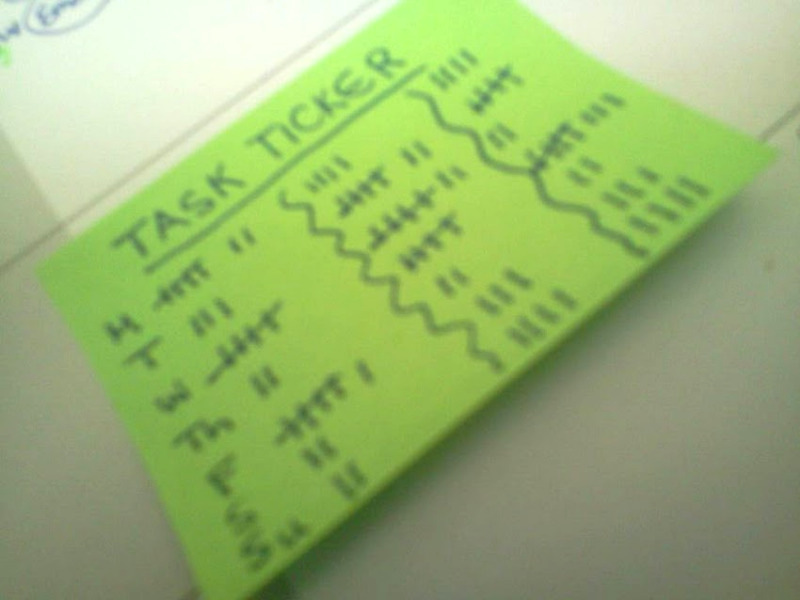 Check out the difference in tasks remaining after that 12 minute task spree. Remember, if you are stuck with a long list, go quick and dirty! It's an easy and effective decision. I'm not particularly good at Sundays. 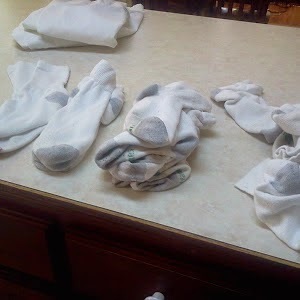 I tend to try and do all sorts of tasks and get worn out. Or I do nothing and get sad in anticipation of Monday. Take solace, Monday. Sundays are truly my least favorite day of the week. So I'm doing something different lately. 1. I only plan fun appointments on Sundays. We go to Mass, then dinner with friends or a playdate in the park is allowed. A trip to Home Depot for new tile is NOT. 2. I keep my to do list short. 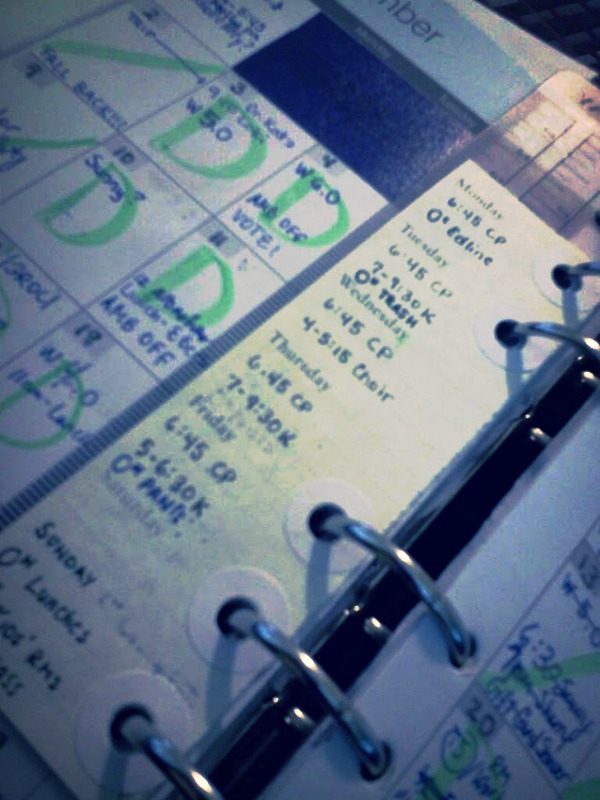 If I can do something during the week instead, I move that to a weekday. 3. I find some alone time. It's tempting, with work and errands and school all week for my family, to want to spend all day Sunday together. But I find we all do better if we mix extrovert and introvert type activities. That might mean reading instead of playing a board game, and that is just fine with me! How do you handle Sundays? Just to clarify, I'm not tired of my planner. But being The Planner is exhausting. I remember which day the boys must wear dress uniforms, bring a bag lunch, or turn in their projects. I have the complete family schedule of karate practices, social events, and obligations. Because I actually know what we are obligated to do this weekend, I am the one who has to schedule (or at least be consulted to schedule) any additional stuff. Husband wants to go to a movie? He doesn't know what's on the agenda, so he has to call me with movie times. Also, if he wants to invite the kids' friends, he has to call me for the parents' contact information. Then I have to call the friends' parents, because I'm the one who volunteers at school and knows them. Child wants to play Chopped with family dinner? 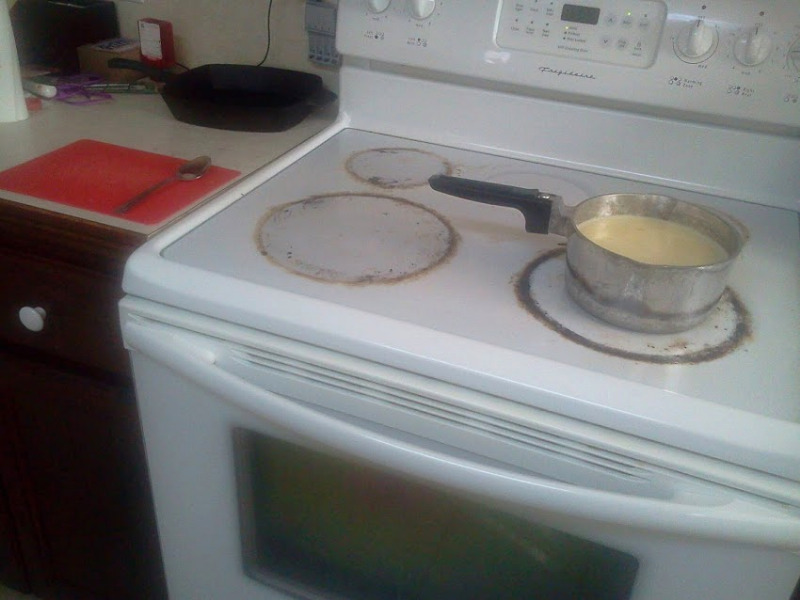 I have to plan the ingredients, find a night that works for cooking, and come up with the recipes. Work is having a Thanksgiving potluck? I'm the only one in the house who maintains the recipes and grocery list, knows what the inventory of serving dishes in the kitchen is, and knows what is going on right before the potluck that might mean the dish must be cooked in advance. 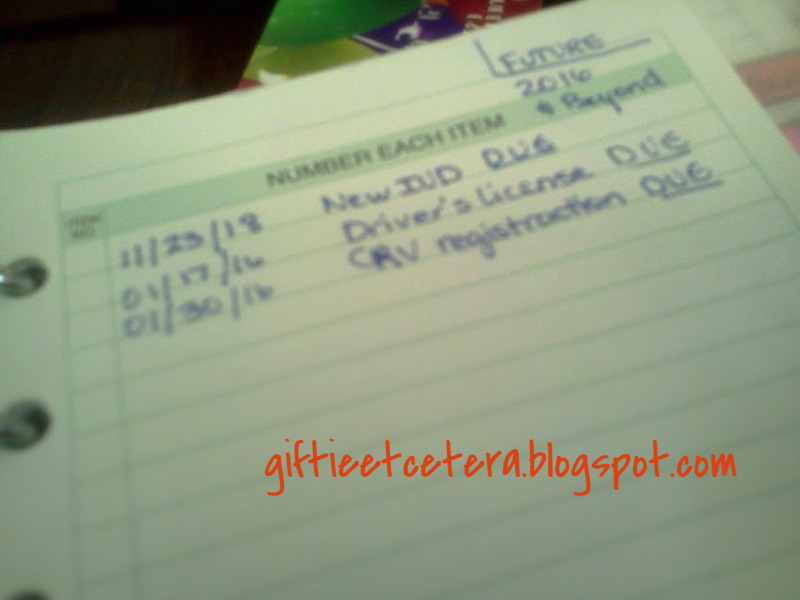 But when others cannot make decisions that affect my planner and cause me to keep checking it, I lose it. Cranky Giftie is not fun to watch, let me tell you. For example, I want to know when house guests will arrive and leave. To get this information, even if it is my husband's house guest, I have to call myself, because my husband doesn't get how making the decision of days when they are visiting affects my planning. He doesn't see it as important. A recent example in our home of me being the sole planner causing issues was when we were choosing the dish for a potluck. I suggested cranberry sauce (around Thanksgiving). I was vetoed. Husband suggested meatballs. Still easy to make ahead of time (important, as potluck is on a Friday evening), easy-to-make, and we have a decent serving container. Cool. I wrote the date of the potluck in my planner. I wrote the ingredients of the meatballs (large bag meatballs, large jar pineapple in its own juice, and a Sweet Baby Ray's large bottle of barbeque sauce) on this week's grocery list. I looked up a coupon for the fruit and for the barbeque sauce and added it to my e-coupons. I made a note to cook the meatballs on the Thursday before (and decided we would have meatballs for supper that night). I made sure we had hot dog buns in the freezer for Thursday, because my youngest likes a hot dog meatball sandwich. Then, and this is the most important thing, I quit worrying about it. A plan was in place. Um, he messed up. Someone was already bringing meatballs. I erased everything. He suggested several other things, but he is not aware of prices, serving dish inventory, or the ease/timing of cooking, so lots were discarded as possibilities. No ham - too expensive. No caramel apples - tricky and needs to be made the same night. 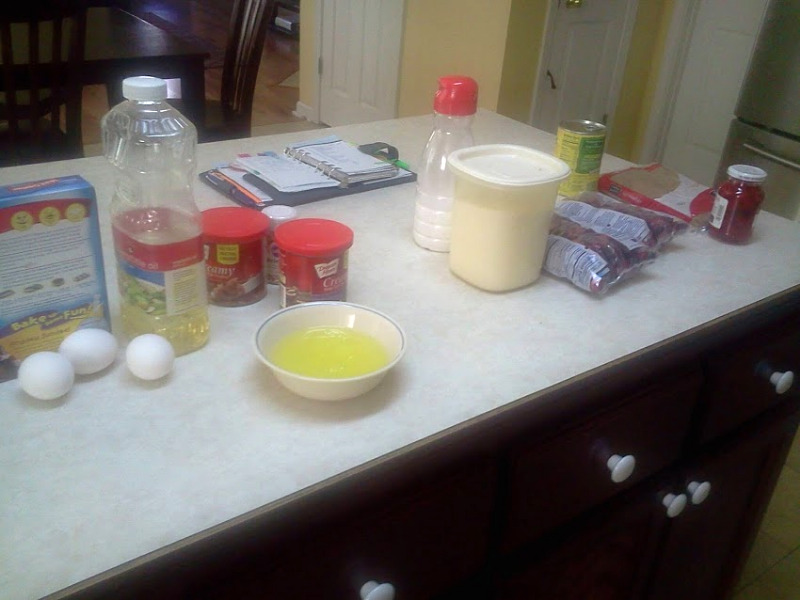 No dirt cake - the mixer is broken and it's hard to find one of the ingredients. I can't drive around looking for the ingredient because I have a big work project and am getting ready for a Thanksgiving house guest and Thanksgiving. So I told him he needed to either be okay with cranberry sauce or a duplicate serving of meatballs (at a potluck with almost 100 people and almost definitely a completely different recipe) or take care of it himself, but without taking away from our almost-nonexistent family time. He found my response threatening (which is strange, because I thought I was totally repressing my urge to harm him - TOTALLY) and freaked out. If he had to plan the meals, maintain the budget, deal with scheduling, do the shopping, and work and volunteer, he couldn't possibly do it. 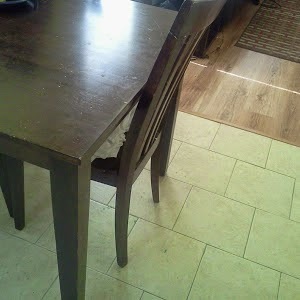 But when I pointed that out, well, it was not pretty. "Either be okay with cranberry sauce or a duplicate serving of meatballs (at a potluck with almost 100 people and almost definitely a completely different recipe) or take care of it yourself, but without taking away from our almost-nonexistent family time," I replied. Hey, I'm consistent! I gave options. 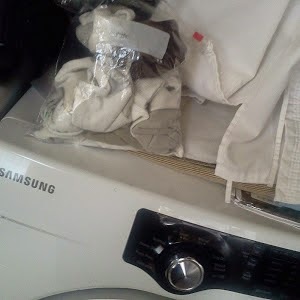 I did NOT threaten to harm any husbands in the making of this blog post. I SHOULD earn a freakin' crown for that, don't you think? I've tried solutions. A family calendar on the fridge. Explaining the importance of big obligations or scheduling being done as far in advance as possible. Asking me what I want BEFORE signing up for/scheduling something. 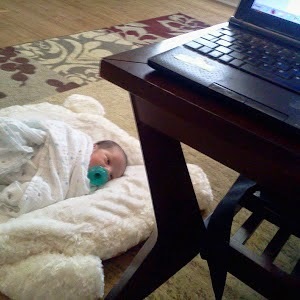 Giving me the final say on things (like cooking) that are going to be my ultimate responsibility. None of these work if the other person is not on the same page, and without knowing all the things that go into running a family's calendar, the other person will struggle with that understanding. May I suggest that you ask them to read Giftie's blog? I can go all Giftie Smash on them, too!